Since 2004, Churchill H. Huston has specialized in prosecuting nursing homes for the abuse and neglect of their residents. In 2010 he successfully held a Philadelphia area Hospital and Nursing Home accountable for their wanton neglect of a patient which resulted in severe bedsores and infections. The six-million-dollar verdict is the largest of its kind in Pennsylvania. Mr. Huston successfully argued to uphold the verdict before the Pennsylvania Superior Court. 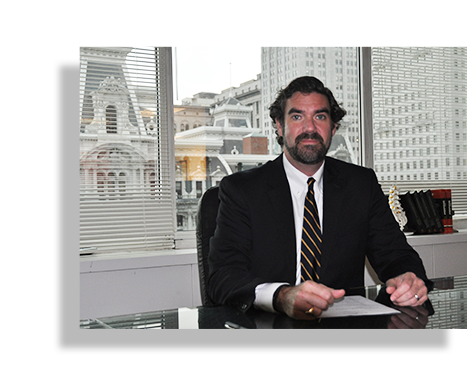 Prior to focusing on Nursing Home Abuse and Neglect and Medical Negligence cases, nursing home neglect lawyer, Mr. Huston gained considerable courtroom experience at the Defender Association of Philadelphia, where he worked in the Juvenile Special Defense Unit representing juvenile clients charged in adult court. Named a Super Lawyer in 2013 and 2017, and a Super Lawyer Rising Star in 2008, 2010, 2011 and 2012, nursing home neglect lawyer, Mr. Huston also teaches deposition skills for the National Institute of Trial Advocacy. A graduate of Hobart College and Temple University’s Beasley School of Law, Churchill H. Huston is admitted to practice law in Pennsylvania, New Jersey and New York. Contact Churchill H. Huston! Contact Churchill H. Huston for nursing home abuse and medical negligence cases in Philadelphia and the surrounding counties including Allentown and Lancaster. Take a look at some of my previous results. View My blog to stay updated with the latest legal news.